I have loved many of Margery Sharp’s books for many different reasons ; and the book I have chosen for Margery Sharp Day this year is the book I love for its wonderful mix of satire and silliness. Professor Pounce, a scholar of literary antiquities held in the highest regard, has always dreamed of publishing a monograph that will dazzle his contemporaries. He thinks that he may have finally found his subject when he learns of the local legend of the ancient village of Gillenham. It is said that there was stepping stone in stream there that would ensure that virgin girls and faithful wives would never slip, while the unchaste would invariably trip into the water. He formed a wonderfully scientific plan. He would have all of the ladies of the village fill out a questionnaire to ascertain their understanding of the local legend and state of their chastity. And then there would be an event by the stream, with all of the ladies in turn stepping on the alleged Stone of Chastity, so that he could properly establish what its powers might or might not be. Then refreshments wouldl be served. It doesn’t occur to Professor Pounce that anyone might be reluctant to take part, or that they might be offended by his proposal; because he really was that caught up in his academic bubble. Life in the sleepy village of Gillenham will never be the same again. The vicar’s wife is outrages by the revival of paganism, and the vicar is inclined to agree. The Pye family at the farm cut off supplies to the manor house that the Professor had rented for the summer. The ladies of the Women’s’ Institute marched out to confront the perpetrator of this outrage …. The Professor ploughed on, sweetly oblivious. He had brought his nephew, Nicholas, along to act as his secretary; and he had to deal with all of the practical issues while being horribly aware of what the villagers were likely to think of his uncle’s plan. He had to organise the questionnaires, recover the Stone itself from Mrs Thirkettle’s scullery floor, and publicise the grand testing of said Stone. He also had to juggle three romantic interests: a statuesque beauty, a bookish blue-stocking, and a bright young thing. That was fun, but as Nicholas was a rather unremarkable young man I’d rather have had a little less time with his love life and a little more time with the villagers and the main plot. That’s my main reason for saying that this isn’t Margery Sharp’s best work. But it is wonderfully entertaining. Margery Sharp drew humour from her story beautifully, and she judged her material perfectly. She was as acute and as witty as she always was, but she was never judgemental or prurient. I found it easy to believe in these people, the things they said and the things they did, and that the Stone of Chastity might be sitting somewhere in the very real village of Gillenham; even though I knew that it was the product of the author’s wonderful imagination and that her plot was exceedingly improbable! I happily turned the pages, with some idea of where things were going but not much idea at all how they would all end up. I was charmed by a wonderful cast of characters. Carmen, an artists’ model, was a wonderful comic creation, a typical Sharp heroine who always followed her heart and her instincts. She caused quite a stir in the village. Mrs Crowner, the vicar’s wife made me think of Trollope’s Mrs Proudie. She wasn’t quite as formidable, but the vicar clearly knew that it was best to nod and agree with her. Mrs Pounce, the Professor’s widowed sister-in law, was a very nice lady, who always acted properly and wanted to enjoy her summer in the country. I could pick out others, but maybe its time I just said that Margery Sharp created a wonderful ensemble. I should also say that there were so many wonderful incidents, that the set pieces were so well done, and that the plotting really was quite clever. The ending felt a little downbeat at first; but there was a nice, gentle twist that I loved, there was a really pleasing realisation for a particular character and it seemed that something had changed in village. The more I thought about it, the more I liked it. And I think I might say that about this book as a whole. Now, please do tell me if you’ve read a book for Margery Sharp Day. I’ll post a round up once the day is done. And please don’t worry if you haven’t – Margery Sharp posts are welcome on any day of the year! Yes, I will- it’s not yet the 25th in Hawaii, but I have one scheduled on the day. There are readers in time zones ahead of me as well as others like you some hours behind. It keeps the party going for longer! Yes, my review of Britannia Mews is posting tomorrow! I haven’t read that one yet, so I’ll be very interested to know your thoughts. I read the first and third Marthas! And I love the sound of this one, even if it’s not one of her best…it definitely sounds like the kind of set-up she’d work wonders with. It is good, just not quite her best, and I hope that writing it in the early days of the war was as diverting for the author as reading was for me. Thank you for coming to the party again! I liked the plot of this story very much. I do enjoy the humour that sleepy academicians can conjure. I have a review for Cluny Brown up on my blog. Thank you for helping to make her books more accessible to us. The day is a celebration, but I don’t want people to feel pressured to do particular things at particular time. I’m happy to see people read Margery Sharp books on any day! It’s lovely to see all the Margery Sharp reviews flying around the web today – you must be very pleased! I’d like to try her at some point if it’s possible to track down one or two of her books in the traditional physical format. If you had to recommend a good starting point, which one would you suggest? She was very popular in the thirties and forties, so there are copies of many of her books out there to find. ‘The Eye of Love’ was the first book I read, it would be a good starting point, and as Virago published it once there should be copies out there. Thanks, Jane. That’s great – I will definitely keep a look out for her. Fingers crossed I’ll strike lucky at some point. I’m also enjoying all the Margery Sharp reviews popping up today, and while I missed it again this year, I’m definitely going to join in the fun next year. That would be lovely – and this is just a day to bring Margery Sharp readers together, it certainly isn’t intended to be the only day we can talk about her. Oh, this does sound a good one but I think not in the re-issues so I’ll have to keep an eye out for a copy (I live in hope). You’ve already seen that I’ve reviewed The Flowering Thorn but here’s the link so you have them all in one place. https://librofulltime.wordpress.com/2017/01/25/book-review-margery-sharp-the-flowering-thorn/ Very enjoyable and thank you again for organising this lovely day! I thought that as others would be reading to issues I’d read something else, to widen the range of books we were reading, and to share something a little different. It was a Pan paperback back in the day, so hopefully there are more copies out there to be found. What a plot! Haha. Perfect for exercising one’s wit. I can imagine Sharp giggling while writing this. I will have it in mind for gray days. I read and wrote about The Innocents, and liked it very much. It is a great plot, and I am sure Margery Sharp had fun with this this one. I’m happy to have introduced you and even happier that you liked ‘The Innocents’ too, because it’s particular favourite. My brother was ‘an innocent’ and so many things rang true and reminded me of particular places and incidents. You express my feelings perfectly. I was taken with Margery Sharp from the first book I read, but it was ‘The Innocents’ that made me evangelical. What a lovely review and the book sounds wonderfully quirky! Alas, I haven’t managed to read a Margery this year but I’ll be following all the posts with great interest! Quirky is definitely the word. I hope that you’ll enjoy all of the posts popping up, and the you’ll be able to read more of Margery’s books in the future. This does sound entertaining – and quite unusual. I read The Flowering Thorn for Margery Sharp Day and it was a good choice; I think it might even be my favourite of the three I’ve read so far. This certainly wasn’t typical Margery Sharp. ‘The Flowering Thorn’ is one of my favourites, and I’m so glad you enjoyed it too. I read Martha, Eric and George which I loved. Looking forward to next years party! Thank you – I love the Martha books too! This sounds hilarious Jane! I will definitely hunt down a copy. 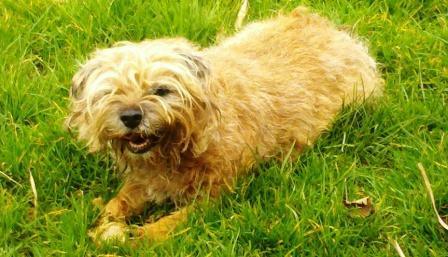 I’ve posted on Cluny Brown and The Eye of Love today. Thank you so much for championing this wonderful author, I don’t know I would have discovered her otherwise and she’s a joy! I’m delighted to have introduced you, and to know that you got on so well! Thank you – I’ll look forward to finding out how you get on with Cluny. I read this one as well, and just posted my review. We agree about Nicholas! Excellent – I’m pleased that we can compare notes. That sounds wonderful! I loved that book, and I hope you will too. In our library system, we have 4 Margery Sharp books, two of which are ‘Martha, Eric and George’ and ‘Martha in Paris’. Is there a third book? And do you have any idea what order they might go in? Time for me to give her a try – you make her books sound irresistible! There are three “Martha” books. The first is The Eye of Love (covers Martha’s childhood, as well as the complicated love story of her aunt), the next is Martha in Paris, and the third is Martha, Eric and George. Enjoy! I hope that one of the other books is ‘The Eye of Love, but if it isn’t Audrey @ Books as Food happily read Martha in Paris first and then went backwards and forwards to find out about Martha’s past and future. Oh this does sound entertaining. Love that cover image. It was – not perfect but wonderful fun. The Penguin and I have just posted The Eye of Love with Mr. Gibson, Miss Diver and Martha. A lovely, quirky, fun read. This has been a fun day. Lots of fun to see the other posts popping up. A bit late for the party here! I am reading Cluny Brown tonight – even while in the bath, no less, which I thought extra appropriate, what with the plumbing angle – but I am not quite sure whether a review will be forthcoming in the next day or two. But I am with you all in spirit. 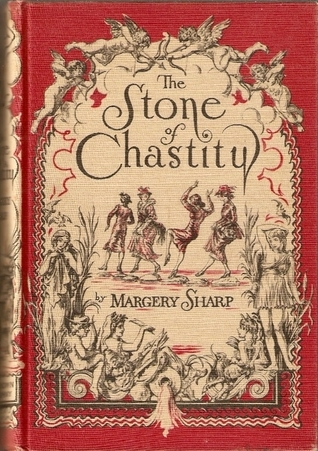 And regarding The Stone of Chastity – yes – I agree – it is not quite one of Margery Sharp’s very best efforts, but there is a lot to like in there, too. The worldly Carmen, the perpetually worried Mrs Pounce… Reminds me in certain ways of The Foolish Gentlewoman, though quite a lot “lighter” when all is said and done. Looking forward to everyone’s reviews! Happy Margery Sharp Day! There’s no rush – it’s lovely to have a day of Margery Sharp love, but I wouldn’t want that love to be confined to the one day. I think it might depend on my mood, whtther I’d rather have more of the villagers’ tales or more of the romance he found. Enjoyed reading your thoughts on this one. My Margery Sharp read was The Rescuers (written for adults, which I wouldn’t have guessed, for it does read like a fairy tale for sure) but I’m looking forward to her other non-mouse-populated tales another time! Thanks for hosting! I thought that the villagers’ stories had more inevitability – albeit in an unbelievable situation – and the romances were rushed, but as a whole the book worked well. The you for being a part of this year’s Margery Sharp Day! I’m really sorry I missed her ‘day’ this year. It is my intention to get to know Martha, so I’m happy you will welcome latecomers to her birthday party as the year progresses! I only ever wanted Margery Sharp Day to be a focus, and I would be very disappointed if it was the only day to see posts about her. A belated birthday gift is a lovely thing, and I am looking forward to finding out how you and Martha get along.